If you’re looking for emergency car locksmiths, you have come to the right place. At Access Denied, our team is made up with some of the best car locksmiths in the area. This is how we’re able to provide such a wide range of high quality services. Rather than focusing on one or two services, we’re able to assist with whatever is thrown at us. Whether you’re locked out of your car or your car key has snapped, you can count on us to fix the problem in record time. 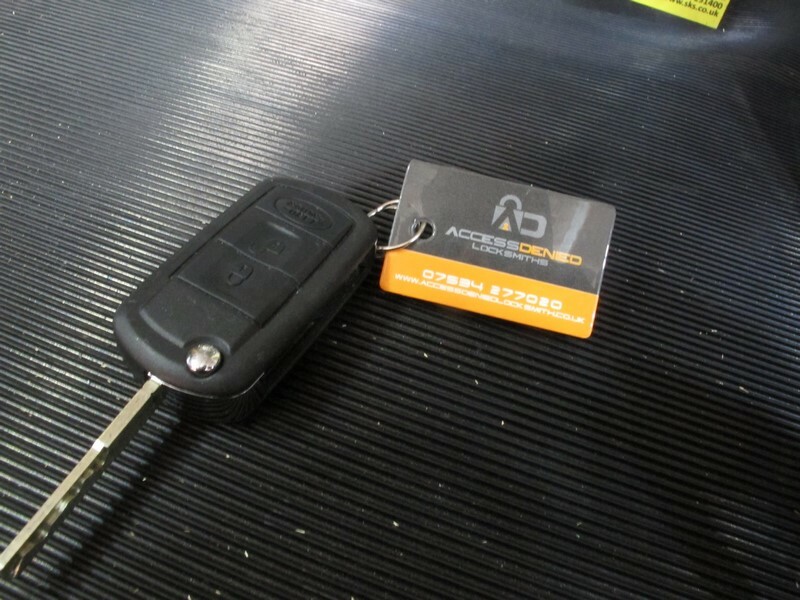 At Access Denied, we know that any problem with a car key or car lock is a huge inconvenience; it can prevent you from going about your day, getting things done and getting from A to B. That is why so many of our customers need help urgently. After all, you won’t want to delay in having the problem solved as this will leave you without a working lock for even longer. Luckily, we’re able to provide emergency car locksmith services. Instead of making an appointment and waiting, we’re able to help out straight away. Everyone at Access Denied works hard to provide an unmatched service. Whatever the problem and whoever the customer, we’re confident that our car locksmiths are able to provide a service that goes above and beyond what is expected. This extends to include fantastic customer service, specialist tools, efficiently and a sense of urgency. Though all of our tasks are completely to a professional standard, we’re able work quickly in an emergency. There’s no need to compromise on time or quality. As car locksmiths, we offer our services throughout Hertfordshire. This means we’re able to help you wherever you are whether that be Hatfield or Harlow, Ware or Welwyn Garden City. All of our services are mobile, so even in an emergency you won’t need to worry about travelling to us. Instead, let us come to you. To find out more about our car locksmiths or are emergency services, get in touch and speak to a member of the Access Denied team. Putting our hand in our pocket and finding out that our keys are missing is something that we’ve all done. Nine times out of ten we find them very easily and it’s nothing to worry about. However, this isn’t always the case. Misplacing car keys for a brief moment isn’t a big issue, but losing them completely is. So, do you know what to do when you lose your car keys? Losing your car keys leads to immediate stress, worry and anger; it’s easy to see why. Without car keys, it’s impossible to go about your normal day. For example, it could prevent you from getting to work or from collecting the kids from school. In fact, it’s not unusual for lost car keys to send the day into complete chaos. Luckily, when you do lose your car keys, you can count on us. Regardless of how you’ve lost your keys or the car you have, Access Denied are on hand to help. At Access Denied, we understand the problems that losing your car keys can cause. This is why we work hard to ensure the problem is solved as quickly as possible. Our team of emergency car locksmiths is able to create a brand new replacement key in a matter of moments, so you won’t find yourself stranded for long. Plus, as we’re a mobile locksmith service, you won’t need to worry about traveling to us. Instead, give us a call and we’ll be with you as soon as we can. We always strive to provide our customers with the very best service possible, which means we work very hard. However, we don’t see this as a burden or extra work, it’s simply something we want to do. At Access Denied, every one of our car locksmiths is dedicated to providing an unmatched service. By being professional and approachable at all times, we are confident that our high level of customer service meets our high level of car locksmith service. There’s never any doubt about relying on us, we’ll have a replacement key with you in record time. There are a number of car locksmiths servicing the local area, but how many of them are able to offer a 24 hour car locksmiths service? The answer is, very few. A lot of car locksmiths focus on providing services throughout the day and occasionally on weekends. However, this is in no way convenient for customers. Think about it, the chances of a car lock problem occuring during the standard work week is slim. This is why we provide a 24 hour car locksmiths service. After all, we want to make sure our customers have the help they need whenever they need it. Even if that is late at night or early in the morning. At Access Denied, we don’t every want you to feel as though you’re at a loss with a car lock problem. This is why we make sure we’re available at all times. Regardless of whether you run into a bit of bother at 11pm on a Friday night or you lose your keys first thing on a Monday morning, we’re always able to help. Simply, you can count on us. As we offer a completely mobile service, there’s never any need for you to worry about travelling to us for help. If you lose your car keys in a supermarket and don’t know what to do, sit back and wait for us to arrive. If you break a car key and are stranded at work, relax and we’ll be there in no time. With Access Denied helping out, there’s no need to worry. All of the car locksmiths at Access Denied have undergone a great deal of training, which is how we’re able to offer such a wide range of car locksmith services. Everyone is skilled and experienced in a range of different locksmith services, which means there’s never any worry of one of our car locksmiths not being able to complete the job. In fact, there’s rarely a problem we’re unable to solve. If you ever find yourself in need of a car locksmith, remember that the team at Access Denied work 24 hours a day and seven days a week. There’s no denying that car keys are strong and durable, but this isn’t to say that they’re impossible to break. In fact, you may be surprised at just how many people find themselves with a broken car key that they’re unable to use. Luckily, fixing the problem is easy when you come to Access Denied. At Access Denied, we offer broken car key replacement services to all of our customers. So, if you ever find yourself with a broken car key, we’re on hand to help. If you need a broken car key replacement, it’s important to seek the help of professional car locksmiths. After all, you’ll want to make sure that the job is completed to a high standard. Thanks to our state of the art equipment and specialist skill, this is something that Access Denied can guarantee. Regardless of how the key broke, our car locksmiths can create a replacement. As there are a wide range of car makes and models available, it’s important that we’re able to issue a broken car key replacement to everyone. Even if your car is rather old or the key itself uses top of the range technology, our tools and equipment can handle it. At Access Denied, we understand the stress and annoyance that comes with a broken car key. This is especially true if you don’t have a spare. This is why we work hard to ensure the problem is solved quickly, efficiently and effectively. We want to make sure you’re able to use your car as soon as possible. After all, nobody wants to be without their car just because of a broken key. When it comes to finding car locksmiths, look no further than Access Denied. At Access Denied, we provide emergency car locksmith services throughout Hertfordshire. This includes Hertford, Cheshunt, Sawbridgeworth, Hatfield, Bishops Stortford, Welwyn Garden City, Ware, Stevenage, Hoddesdon and Harlow. Plus, all of the surrounding areas. To find out more about our car locksmith services or for more information on the Access Denied team, get in touch. Contact us today on 07534 277020 or via the online contact form.